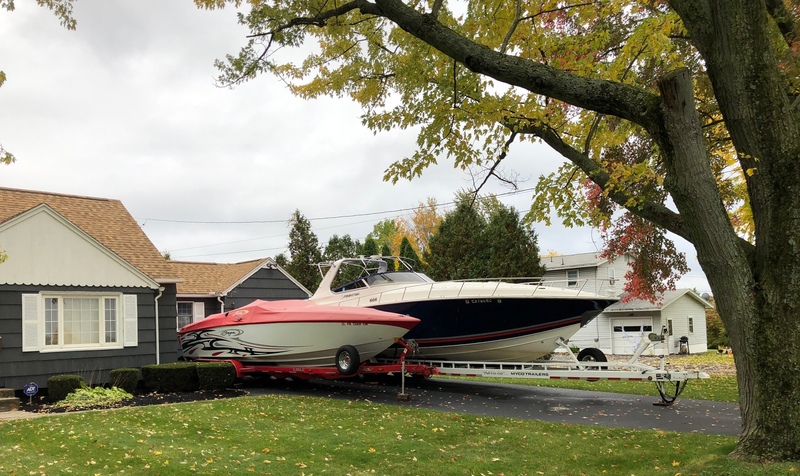 Our neighbors put the boats in their driveway in what I expect is their fall ritual. The red boat seems really big. Until you see the blue boat. I wonder if they ever race? 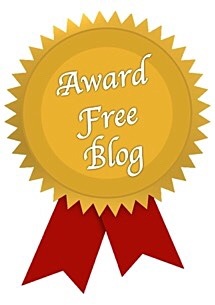 What are playsets, boats and big porches, Alex? ← Can the Orange get another crowd that looks kind of big? They are so large, Beth! It “looks like” a sibling rivalry kind of thing. 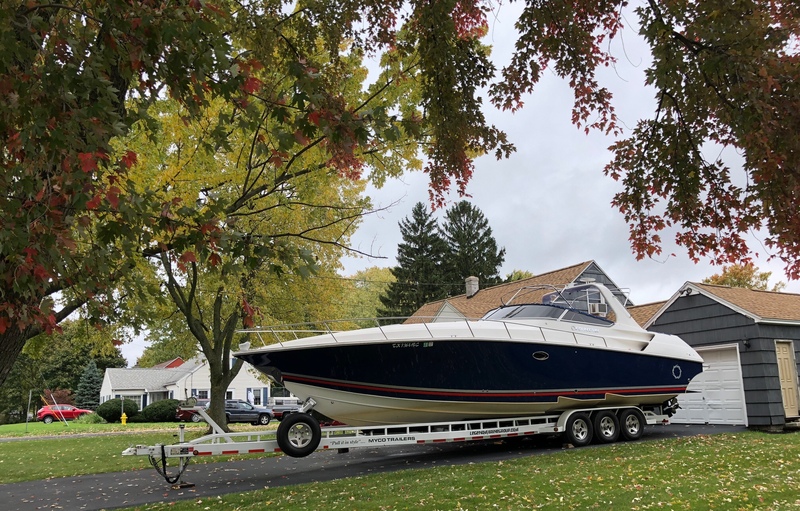 We had a boat and we sold it….happiest day of my life! Lol! Ugh. 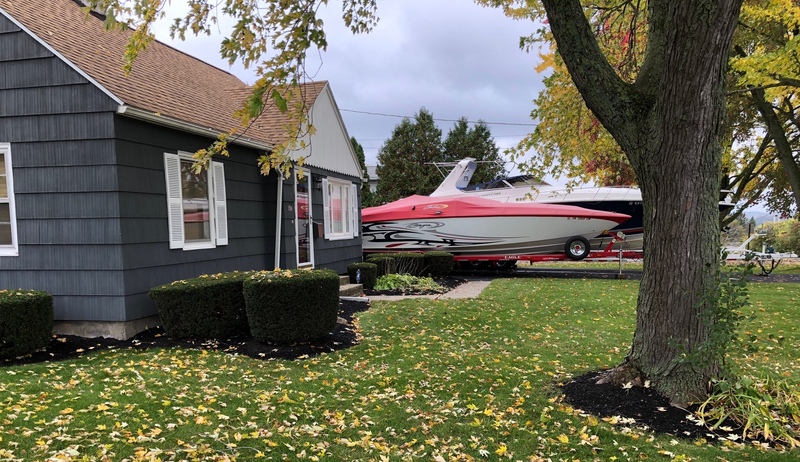 I get seasick just looking at those boats in the driveway. I would need the patch behind my ear, CM.